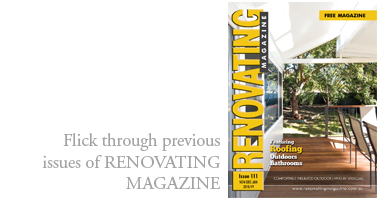 Categories: Insulation, Patios, Carports & Pergolas, and Verandahs & Decks. You can crate that indoors/outdoors alfresco entertaining area in your backyard that can be used without worrying about the extreme high temperatures of summer, and lows of winter. 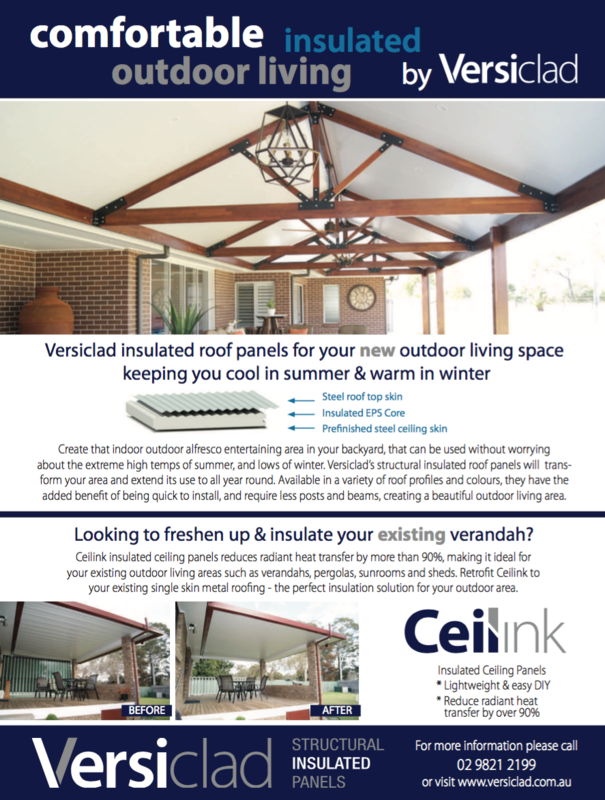 Versiclad’s structural insulated roof panels will transform your area and extend its use to all-year-round. Available in a variety of roof profiles and colours, they have the added benefit of being quick to install; and require fewer posts and beams to create a beautiful outdoors living area. Or if you are considering to freshen up and insulate your existing verandah, Ceilink insulated ceiling panels reduce radiant heat transfer by more than 90%, making it ideal for your existing outdoors living areas such as verandahs, pergolas, sunrooms and sheds. You can retrofit Ceilink to any existing single-skin metal roofing. It’s the perfect insulation-solution for your outdoors area. Reduces radiant heat transfer by over 90%.